Epoxy and Urethane coatings can increase the durability of your garage, warehouse, or other high-traffic floorspace. Importantly, such surfacing brings a non-slip component to flooring adding a degree of safety to the workspace. This flooring reflects light which can brighten up the environment. 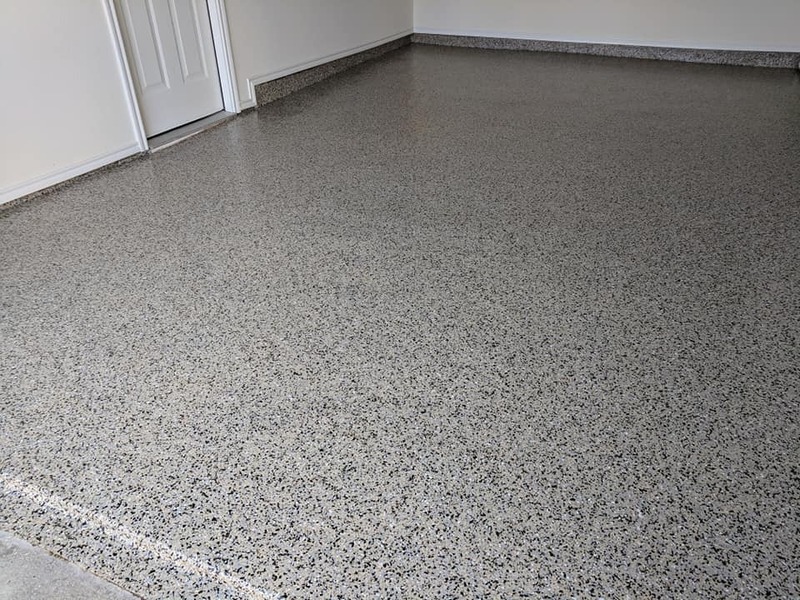 These garage floor coatings can significantly upgrade the look of a space and, with endless color options, the finishes can be tailored to present a space unique to your personality or branding. Garage Floor Epoxy is made with epoxy resin and a polyamine hardener. This flooring is highly durable. It is shock resistant and can stand up against water – it is mold and mildew proof – and chemical exposure. What’s more, epoxy flooring is easy to clean. Epoxy can be combined with vinyl acrylic chips for even better endurance. These acrylic chips are available in an array of colors and finishes. Additionally, numerous pigments, including metallic variations, are available to mix with the epoxy, resulting in truly unique surfaces. Epoxy flooring has a characteristically high gloss finish that presents exceptionally well. Epoxy is used in modern home designs for a sleek look. It instantly updates a garage and protects the space from oil stains and tire marks. This flooring offers the added benefit of light reflection that is pleasing to homeowners, customers and employees. The preparation and application of epoxy requires great care and attention. We at Flores Decorative Concrete have the experience to successfully apply this surface ensuring optimal hardening and the resulting durability. Urethane is carbon-based and, using chemical solvents, reacts with monomer, a bonding agent, to produce a very durable surface. Various tints can be added to provide degrees of color, though clear is often a preferred choice. Like epoxy, you’ll find this surface to be easy to clean. Urethane coatings protect against ultraviolet light thereby preserving the color in your flooring longer. Urethane retains some flexibility so it is highly resistant to abrasion. 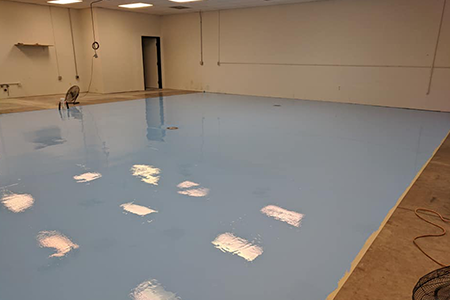 Like epoxy flooring, it is incredibly durable and can stand up to water and chemical exposure. There are differing characteristics among urethane and epoxy that will drive the choice between these two flooring options. In some cases, the best solution may be epoxy flooring with a urethane top coat. Our flooring experts will carefully review your environment and goals to then be able to advise as to what solution(s) will work best for you. If you want to protect your garage from oil stains and tire marks, epoxy with vinyl acrylic chips is a great choice. It is so durable that it’s even used in hangers. Contact Flores Decorative Concrete today to schedule a garage floor coating estimate!